Cara Delevingne and a big brown bear waiting for his dinner. Photographer: Mario Testino for Vogue. 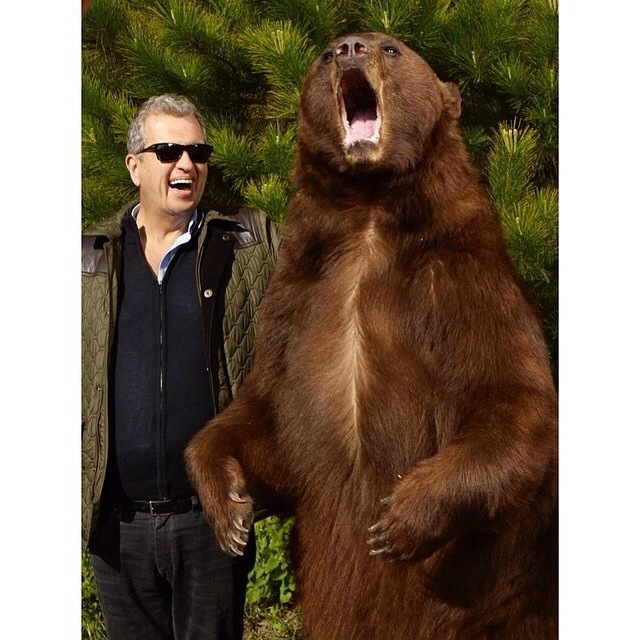 Below: Mario on set with the big brown bear. Images from Mario Testino Facebook page. Next Next post: Hair Inspo city!